Penetration testing or pen testing is an essential aspect of any security program. It involves a team (Red Team) that actively attempts to penetrate and exploit your IT assets. But, you might wonder what the core benefits are to a pentest. Consider the following 25 reasons why you should pentest your environment this year. Pentesting shows the real-world attack vectors that could impact an organization’s IT assets, data, humans, and/or physical security. A penetration test should ultimately tell you how effective your security controls are against these attacks. A pentest should be an annual occurrence where you search for major vulnerabilities in your IT assets. Various tools and technologies can test your IT assets to determine what vulnerabilities you have within your environment.. Your pentesting team will categorize vulnerabilities by the risk each poses to your organization. These vulnerabilities are categorized into low, medium, and high risk and a timeline assigned to address each of these areas. You can then prioritize which vulnerabilities to fix first and which ones will take the most time and resources for the organization. Once you can identify the vulnerabilities, your security engineers can work on fixing the major vulnerabilities in your network and applications. This is a critical part of tightening up your security posture as the vulnerabilities can lead a hacker all the way through your network to your sensitive data. A pentest will uncover the holes within your network, application, and data security you didn’t know about. You may need to fix misconfigurations in a DNS server or fix a compromised web server you forgot about. A quality pentest might not only show you the weaknesses in your security posture but also the strengths and where your team excels. You can then use this to your advantage in fixing the areas of weakness quickly with your strengths. To enhance the security posture of the organization, a penetration test identifies the key security controls that are recommended. You may need to prioritize remediation events, patch IT assets, or layer more security defenses in your organization. If you already have a solid security strategy and policies, you can show the organization and end users how important these are. If your pentesters can show that human mistakes are causing the biggest gap in your security, you can reinforce the importance of your security strategies and policies. A pentest could also reveal poor practices within your security team. Are you missing important patches or not hardening applications and operating systems? The results of your penetration test can reveal flaws within the network that you might not expect as well. After you get over the initial blame game (if that’s even a problem), your security defense team or your Blue Team will feel more confident in detecting and responding to threat actors. The added confidence boost could help the Blue Team become more proactive in finding hidden threats within your network, applications, and data. Another unexpected result from a pentest might be finding misconfigurations on your newly purchased or current security technologies. Perhaps someone on your team forgot to change the default credentials on the latest security tool or they need to update the firmware on that firewall appliance. You might also discover areas of improvement when it comes to your governance and compliance requirements. Are you fully compliant with the PCI DSS, SOX or HIPAA regulations? It’s actually a requirement to have an annual pentest done for each of these industry standards. These penetration tests can be learning opportunities for your team to understand the techniques and tactics used by hackers to penetrate your systems. Your team will learn about the latest tools and exactly how networks are exploited by a threat actor. A penetration test will give your team a better idea of how they perform Incident Response (IR). After the pentest, you will see how your team of IR specialists handle incidents as well as document, catalog, and carry out forensics on the security event. After the security incident has been analyzed, you can track how well the remediation team reports, communicates the event, and then implements a permanent fix. This is particularly important as you develop your Incident Response and Remediation Plan. A pentest can also show you how well the IR team can assess the damage and cost of an attack. Pentesting will show you how to best implement business continuity for the organization in the event of an attack. Many business continuity plans sit on a dusty shelf without any updating. If your organization performs a quarterly or annual pentest, you will have the opportunity to update your business continuity plans and check your backup and restore capabilities. Data is said to be the lifeblood of an organization and in the wrong hands could be extremely damaging. A pentest will allow your organization to safeguard your data assets and hopefully prevent an attack before it reaches your data assets. The penetration test is most helpful for mapping the various attack lifecycles or the cyber kill chain within your organization. A quality pentest would test the perimeter, network, and internal defenses. At each stage, a threat actor can use exploits in the security layers to obtain deeper access. By mapping the various techniques and tools used by hackers, your security team is much more aware of the entire attack lifecycle. Your Senior Management Team most likely approved funding for a penetration test. So, you’ll need to deliver a high-level Executive report to them on the outcomes. You might even use the benefits listed here in your report along with key metrics and performance indicators. The pentest report is probably one of the most important because it will eventually leave you with important critical deliverables to improve your security posture but also an overall risk rating. The risk rating is something you can deliver to your Senior Management Team and discuss the high-level areas for improvement as well as a proposed budget to improve these areas. Whether your organization needs to meet PCI DSS, HIPAA, GDPR, GLBA and FFEIC or other compliance and regulation needs, a penetration test can help your organization identify the gaps that are preventing your organization from reaching compliance certification. The pentest report will offer specific deliverables that can be improved, and a security consultant may even map those to specific industry security standards. The last thing you want is a publicized data breach. 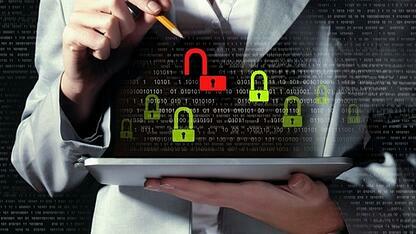 Your customers will lose trust in your organization and their loyalty begins to falter after a major data breach. The pentest offers you an opportunity to reaffirm your commitment to security and instill trust in your customers. Your customers will be relieved to know that your company conducts regular penetration testing exercises and their data is safe in your hands. Ultimately, you should come away from a pentest with a brand-new perspective on your network, application, and data security. You will get a holistic view of your entire environment and will be able to address the major vulnerabilities. You might even be able to sleep a little better at night knowing what’s exposed and what can be remediated in the near future. If your Red Team is able to successfully attack your network, you can assess and measure the actual financial impact of a real attack on your organization. Imagine being able to use this to inform your strategic discussions with your Senior Management Team. The Senior Management Team’s chief concern is most likely top and bottom line revenue growth. Therefore, if you can paint a picture on the impacts of successful cyber attacks on your organization, you can explain what exactly might happen. They may begin to take your efforts more seriously. 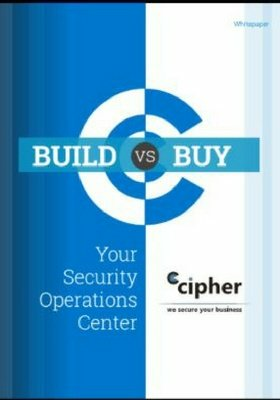 Do you need to know what areas in your security program you need to spend on? A pentest is a great tool to help you identify the most critical areas for spending. It can help you budget for advanced security tools that will free up time for your staff and empower end users that need security awareness training. A penetration test becomes a great starting point for building that budget in the years ahead. Lastly, if your pentester can give you an overall measure of risk, you can begin to understand your organization’s overall readiness in preventing and responding to cyber threats. How well is your organization prepared for attacks? How ready are you for an attack? Can you recover from an attack? All these questions would be excellent high-level discussion points between you and your Senior Management Team.